A thrilling Toronto career can be found by exploring building science careers. Experience. Experience is one of the most important parts of any career, and our company is one of the best places to gain yours. Belanger Engineering is a great place to flex your building science career muscles while working with a great group of colleagues and mentors. Because our company is not a large and vast corporation, you’ll get the opportunity to have valuable face time with individuals from all areas of our business. Expertise. 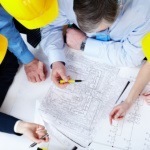 We work with all types of engineering fields, designing and creating all types of projects. This wide variety of projects enables us to boast a level of expertise that many other engineering companies can only wish for. With over 30 years in engineering, you will have a wealth of mentors and colleagues that you can learn from and with. Whether you are looking for a change in careers, an exciting career choice to follow, or a great opportunity in your current engineering field, check out Belanger Engineering today for the best opportunities in Toronto, Ontario. At Belanger Engineering, we provide building science careers to residents of Toronto, GTA, Mississauga, Markham, and Ajax, Ontario.